Myofascial release therapy is a one on one hands on treatment. Gentle sustained pressure is applied into the myofascial connective tissue restrictions to eliminate pain and restore motion. This gentle pressure is applied slowly to allow the viscoelastic medium or fascia to elongate. Myofascial release principles are based on treating patients as unique individuals, therefore treatment varies for each client. MFR pressure can vary, depending on the patient, therefor deeper pressure may be used. The body is treated as a "whole" unit and therefore treatment is not confined to treating the pain. Treatment returns the body to balance by releasing restrictions and restoring mobility. Lisa Ford practices John F. Barnes Myofascial release. The concept of nutrition has greatly changed over the last decade. There is no one diet that works for everyone. Our genetics, history and present state of health all play into what type of diet works best of each of us. 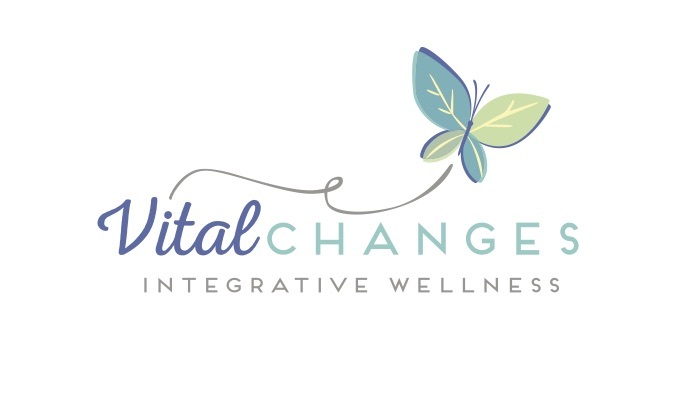 At Vital Changes each client is assessed individually and is given a plan that is based on the latest medical research and unique to their individual needs. Vital Changes practices holistic health based on a Functional Medicine approach. This holistic approach to treating a person’s well being takes into consideration all aspects of life. The goal of holistic nutrition is to build a strong foundation for long term optimum health. Proper exercise is part of a holistic wellness regime. Exercise programs can be discussed and individualized for patients. As a physical therapist, an athlete and former trainer, Lisa can advise on basic routines to more advanced specific rehab and intensive regimes. Prices may vary depending on what programs client chooses to include. Wellness packages containing MFR, nutrition and exercise are discounted.